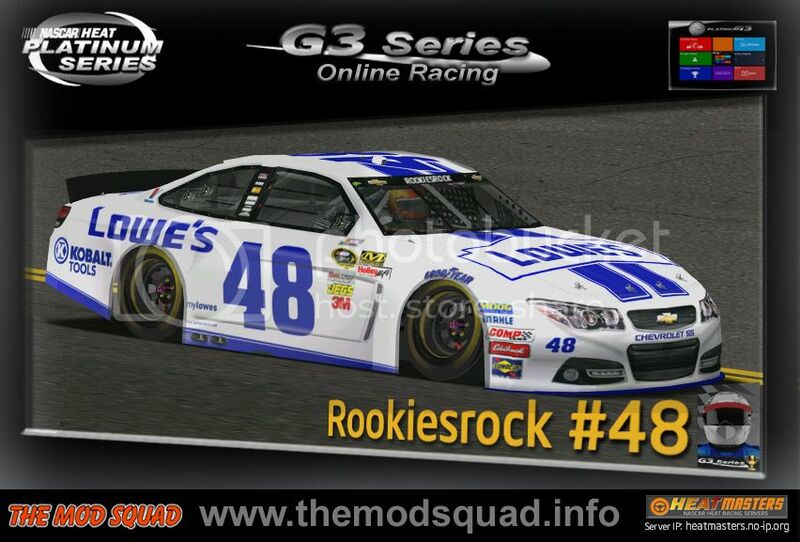 Repeating last year, Rookiesrock won the NHPS Cup Series debut race at Daytona. The 2012 NHPS (2nd season) champion started the 4th season leading 23 of 35 laps. Patch led the other 12. Fastest lap (44.321 secs) was scored by Smitty on his first start on NHPS. The other top 5 drivers were Patch (2nd), CruiseCtrl (3rd), Breeze (4th) and Blaxman (5th). The complete results are posted on NHPS forum section.